Whilst we may still be in the grips of a hot sunny and summery August, Delta Air Lines has its eyes set on winter and in particular its winter schedules from New York to the Caribbean. 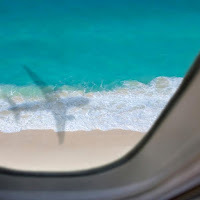 The airline has a new second daily frequency connecting New York’s John F. Kennedy International Airport to Nassau starting this October, plus the Trump supporting carrier also has some other great routes from New York to the Caribbean to shout about. Delta will operate the flights to Kingston and Port-au-Prince on Boeing 737-800 aircraft, with 16 First Class seats, 36 Delta Comfort+ seats, and 108 Main Cabin seats. Flights to Nassau will operate on Airbus A320 aircraft featuring 16 First Class seats, 18 Delta Comfort+ seats, and 126 Main Cabin seats. Flights to Antigua will operate on Boeing 737-800 aircraft with 16 seats in First Class, 36 seats in Delta Comfort+ and 108 seats in the Main Cabin. Once onboard, all customers on flights from New York to the Caribbean can enjoy complimentary Delta Studio featuring more than 1,000 hours of on-demand in-flight entertainment on individual seatback screens or streamed directly to a laptop, tablet or mobile. There is also free mobile messaging via iMessage, WhatsApp and Facebook Messenger, plus optional access to high-speed Wi-Fi throughout the aircraft.